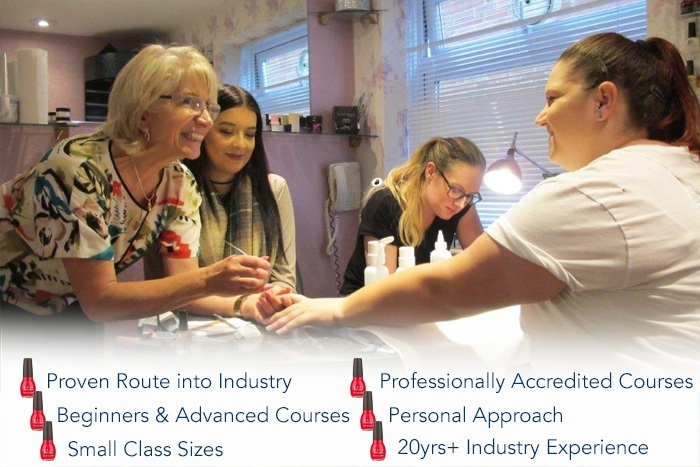 Training in manicure of the natural nail is the essential preparation for the application of any soak off UV Gel polish such as:- INK, Gelish, Shellac, Gellux, Artistic and IBD. 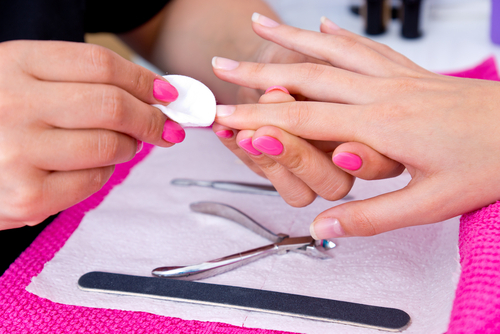 After a re-cap on your home study you will learn how to safely manicure and prepare the natural nail for UV Gel polish. We will unlock the secrets of this popular nail service and you will then apply gel polish in both a single colour and in the French application. After lunch you will cover the safe removal of gel polish and re-application in your models chosen finish. We complete the service with the relaxing Spa manicure after which your model is free to leave with a nice set of new nails. Students will then sit a short assessment, for their accredited certification. Discover the unlimited colour and style opportunities that will satisfy your clients every wish and increase your profits. UV Gel Polishes delivers 14 day + wear with no chipping or scratching. See and try the newest, incredible nail colour innovation. Experience the ease and unbeatable results of UV technology. Cost – £160.00 – One day class with home study. It is advised to allow up to two weeks between course booking and attendance for home study. *Professional product kits are available to purchase, please call to discuss your requirements. Salon’s or group bookings please call us direct for your pricing.